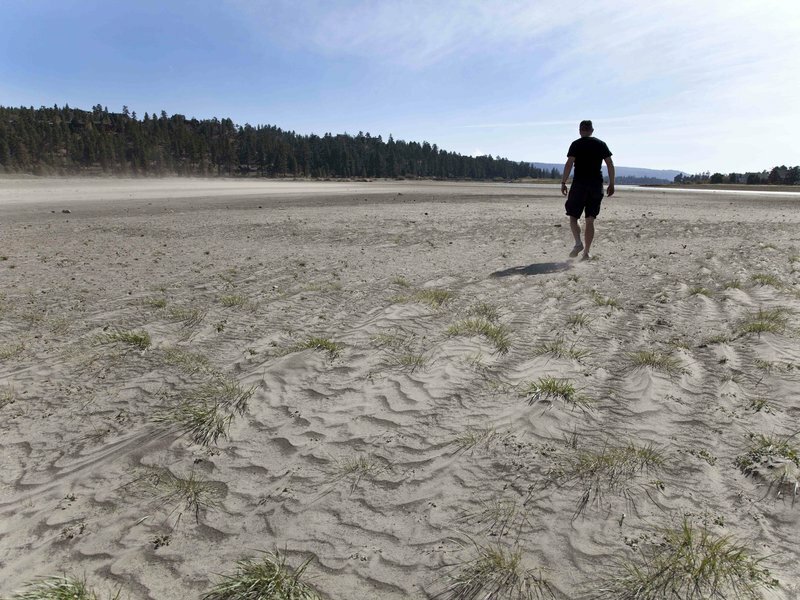 A reader brought this article to my attention: California’s Record Drought Is Making Earth’s Surface Rise. It was published at Smithsonian.com. Apparently their instruments are so sensitive that, when water, which increases gravitational pressure on the crust, drains away, the decreased pressure allows the earth to shift upwards ever so slightly. This is a slightly different result than what happens when we drain aquifers – then the ground subsides, because the surface collapses to fill in the space left behind. I am not a scientist, so this is a super-simplified explanation. Suffice to say that when Dr. Borsa and his buddies got together and made the necessary measurements, and most of these stations in southern California had begun to rise. By March of 2014, nearly all of the stations from here through Washington and Idaho registered on his instruments. They mapped the results with maps of deviation from normal precipitation and, BINGO!, found good correlations. How big of a difference? On average 0.15 inches, with up to half an inch in the mountains.